Published by Joshua Clare-Flagg on 7 Oct, 2018. 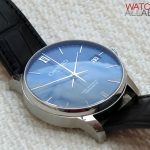 The new C65 Trident range, in my opinion, is one of the nicest looking yet from Christopher Ward. 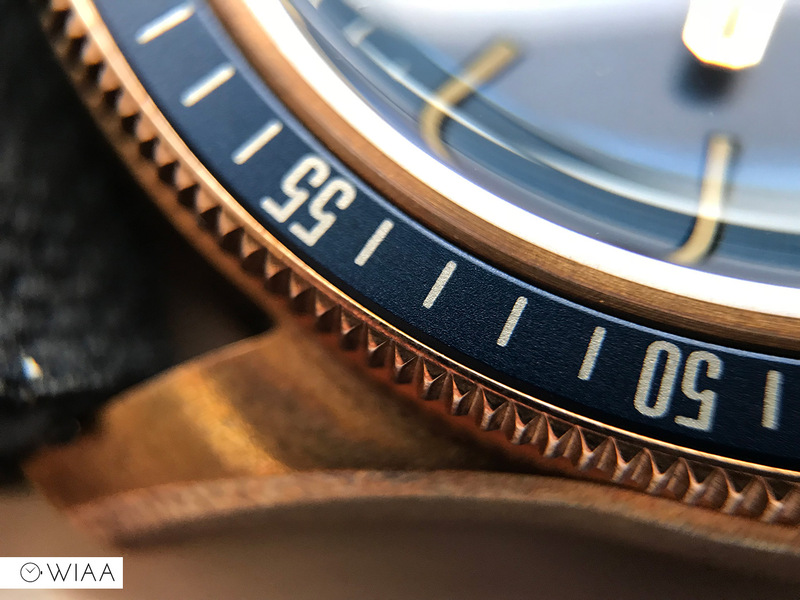 What’s more, it’s available in a couple of “levels” – you can go for the standard steel version with a Sellita movement within for £695, or you can opt for this one – a limited edition, with their in-house SH21 movement and bronze case. 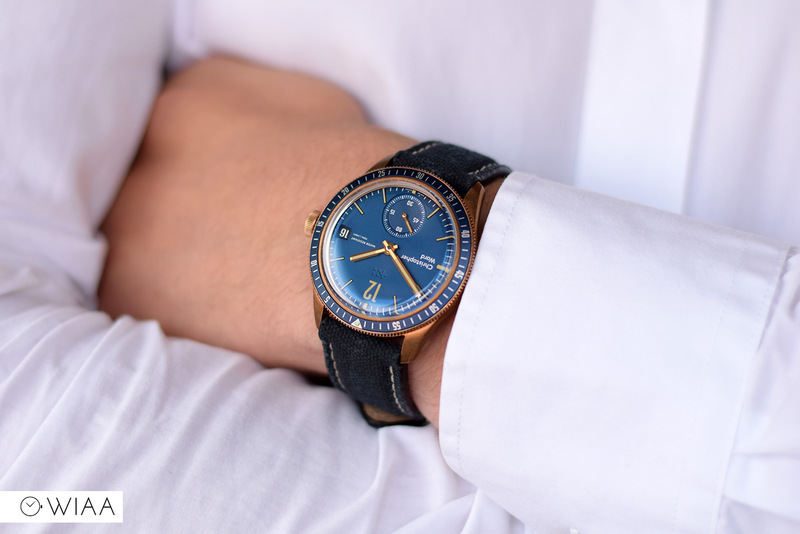 Personally, the bronze case looks killer when coupled with the blue dial, and the SH21 movement is one that a true watch aficionado will appreciate. 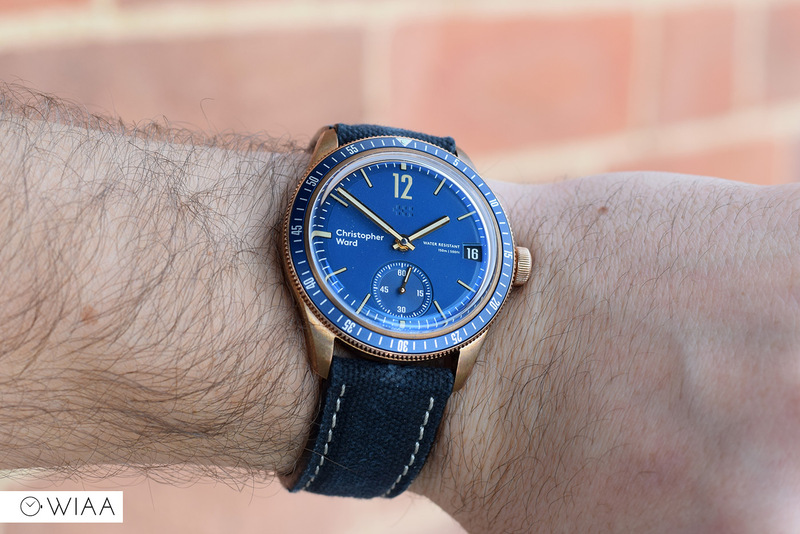 Let’s check out the (take a breath) Christopher Ward C65 Trident Bronze SH21 Limited Edition. The C65 Trident utilises the same up-to-date, flowing case shape as is used on all their new models. Every angle is a work of art; multiple accents and lines seamlessly working together to create a flowing viewing experience. 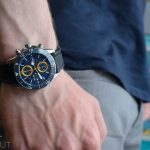 For me, the size is perfect: coming in at 41mm diameter it’s is just big enough but wears smaller thanks to the sultry curves. The case is made of C5191 (CuSn6) bronze and has already picked up a beautiful patina. 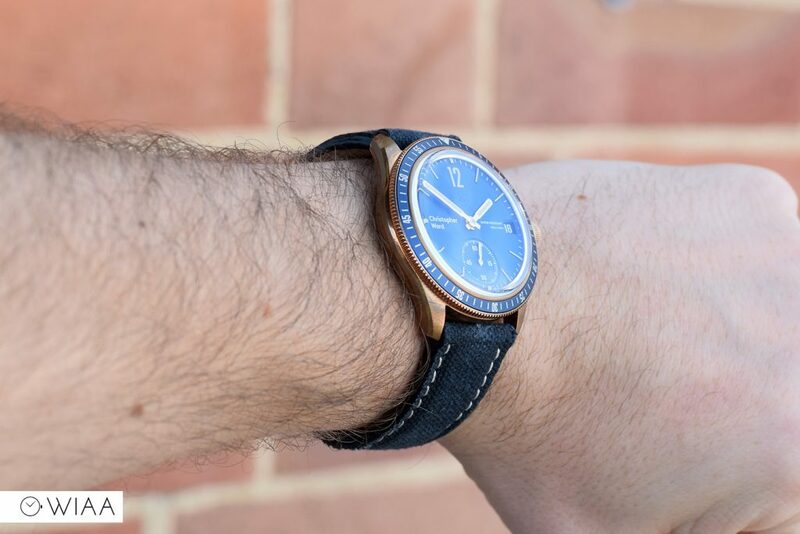 The bezel insert is on the small size, which I actually think looks great – a very modern font has been used too, and the triangle and lume pip at 12 is smart. 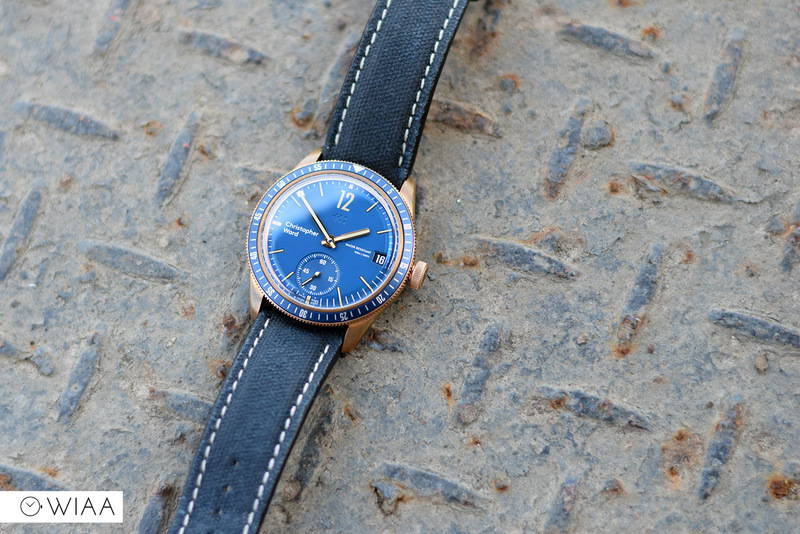 In this instance, I really believe less is more and the subtleness of the bezel allows the dial to pop. The tall, boxed sapphire crystal creates a great viewing impression. 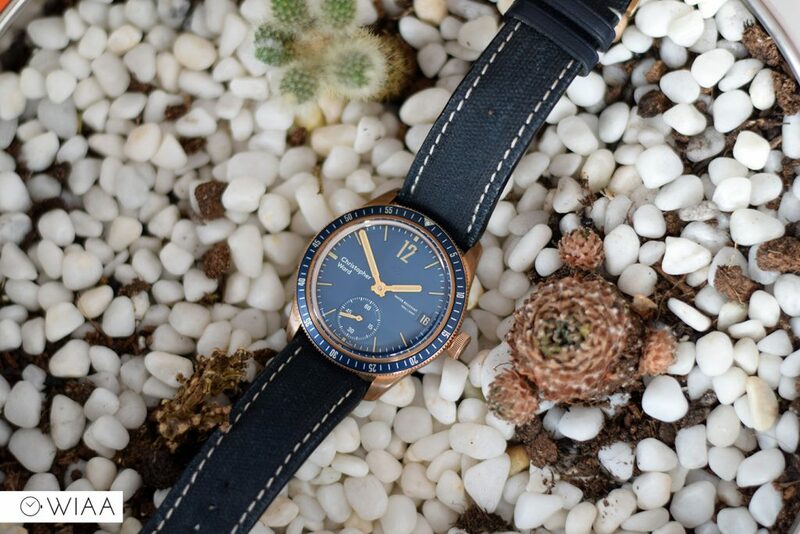 It sets the scene for the whole watch and vintage vibe. The anti-reflective coating isn’t the best though – it’s not the clearest. The push-pull crown is good for hand-winding (being that it’s not automatic). It has the twin flags motif embossed on the end. 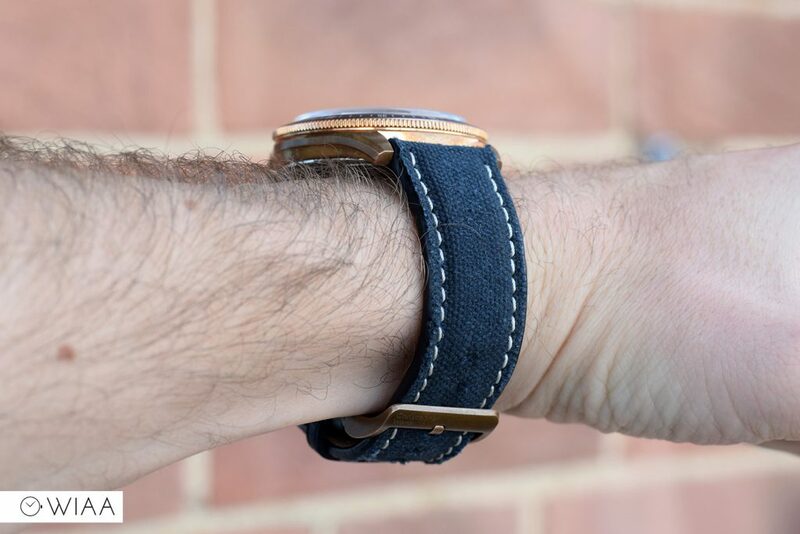 As you’ll have to use it to fully wind the watch every 5 days, you’ll be pleased to know that it’s easy to use. 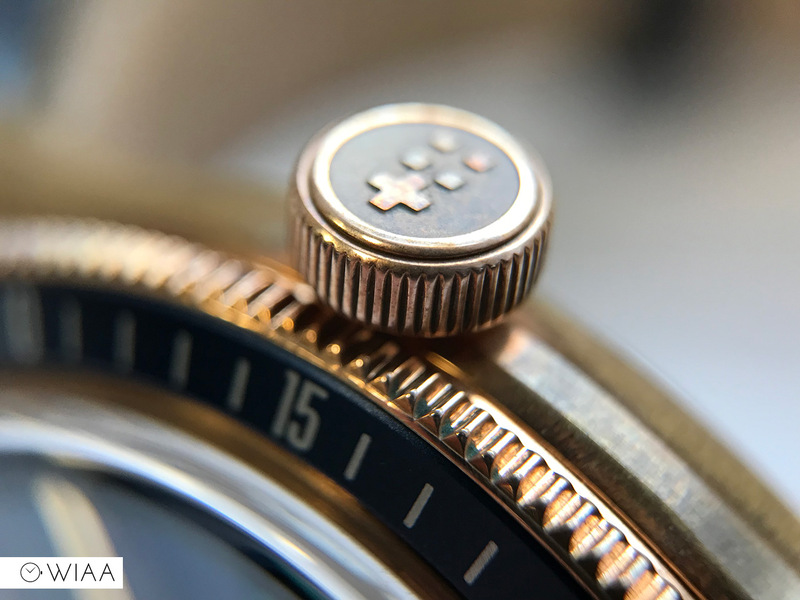 The screw-in caseback is steel – whilst this looks a bit jarring whilst next to the bronze, it’s not visible whilst wearing the watch. 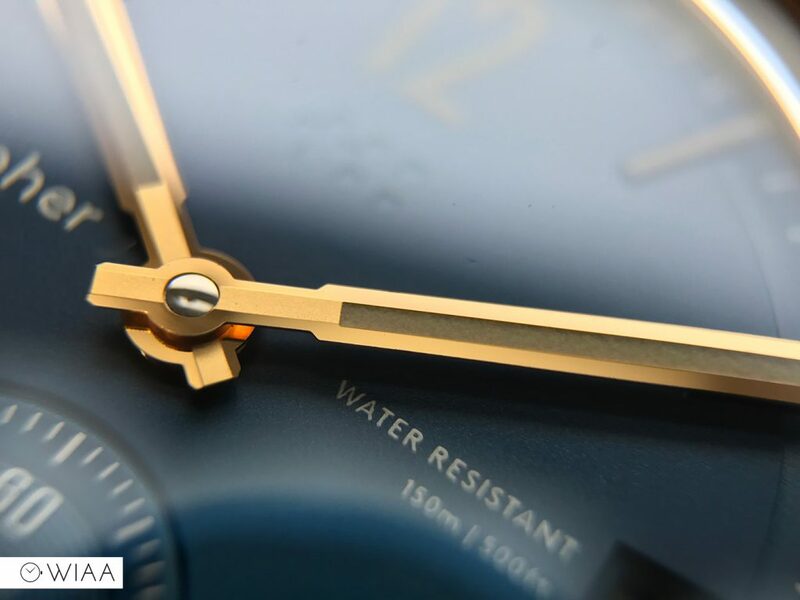 Steel is used for the caseback so it doesn’t seize up – otherwise, you won’t be able to get to the movement ever again. 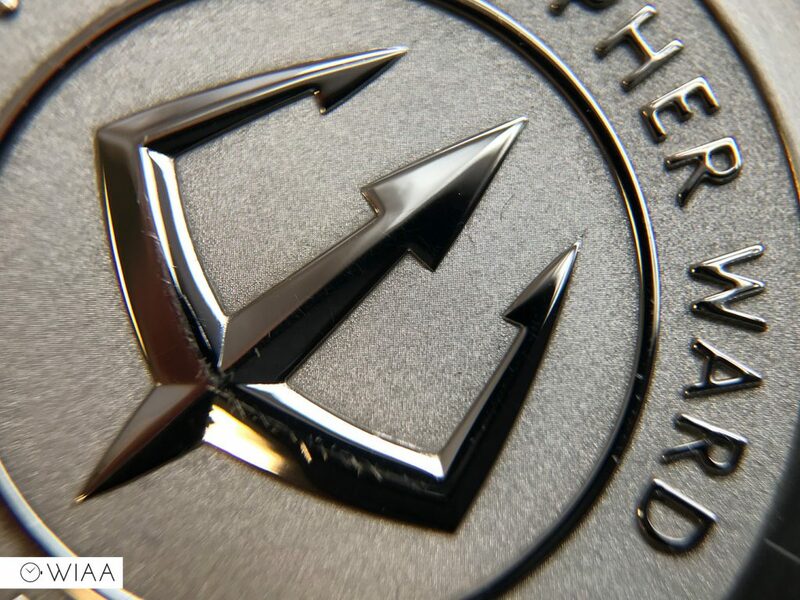 It features a deep-stamped Trident in the centre: think the same quality of Omega, for instance. For me, the blue with the bronze highlights works so well. 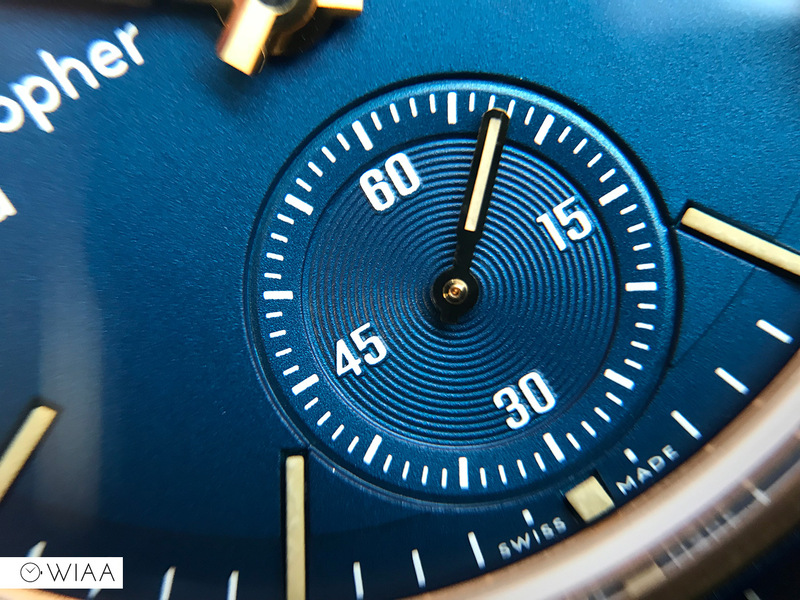 An interesting little touch is the fact that it’s domed, to follow the flow of the crystal – with the curved outer edge containing the minute track. 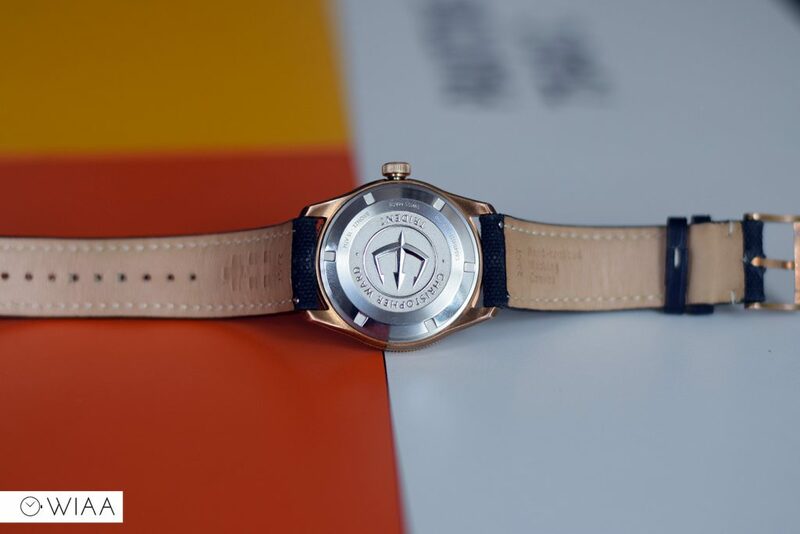 There’s the left-aligned Christopher Ward printed logo at 9, as well as the twin flags logo embossed at 12. The new logo has been quite the talking point since the release, but in this instance, it works really well. 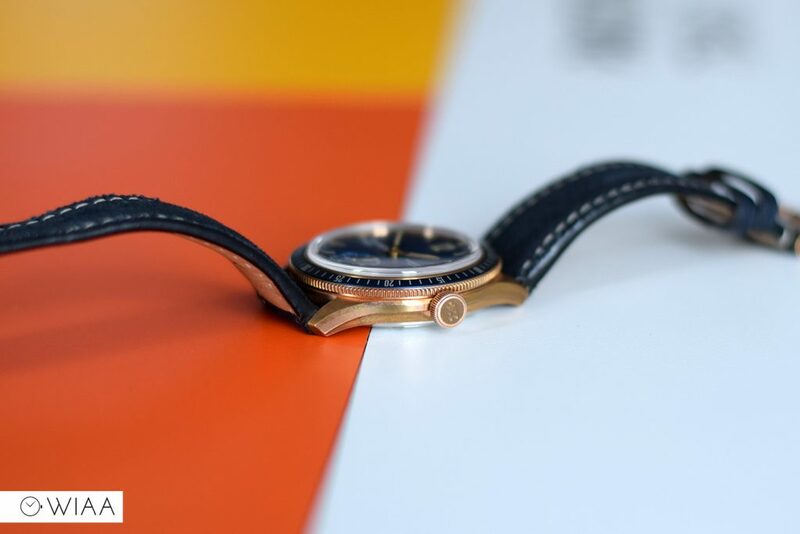 There’s a running seconds subdial at 6, with a concentric circular pattern and a bevelled edge. The hour markers are very gently cut out of the dial and protrude out past the domed edging. 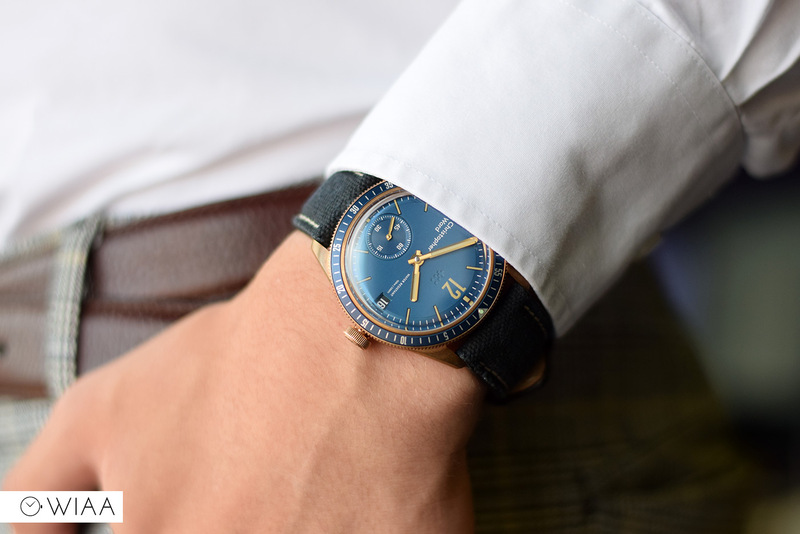 The date window is tastefully done, with an unusual angled shape with a dark blue wheel to match the dial. The hands are an alluring paddle shape, with a pitch and array of finishes which catches the light. 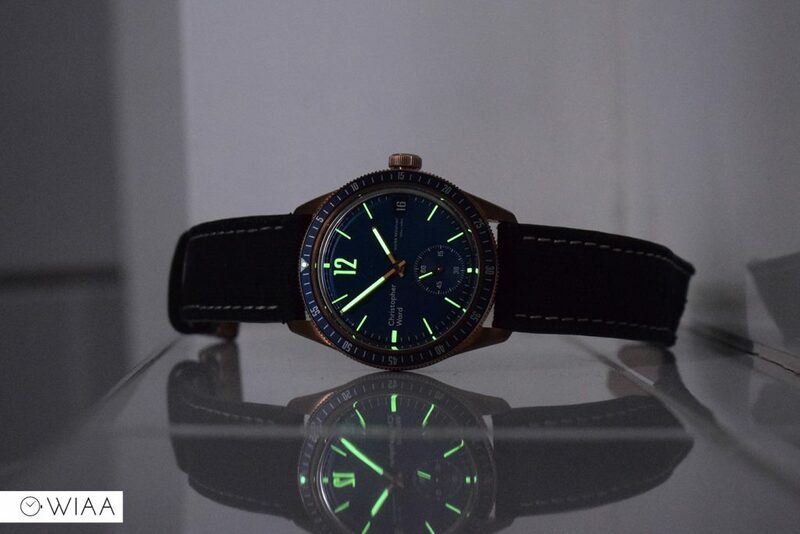 I’ve never found Christopher Ward watches to have the strongest lume, and this is the same story. It’s functional, but not the best in its class. I think the design of the dial is the best yet from Christopher Ward; there’s something about it that’s just perfect – they’ve got it just right. 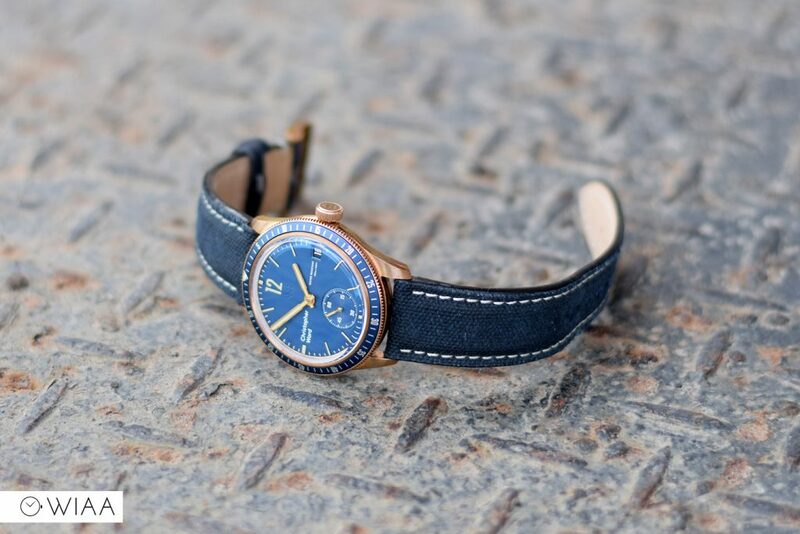 The strap is a soft yet rugged blue canvas, to match dial. 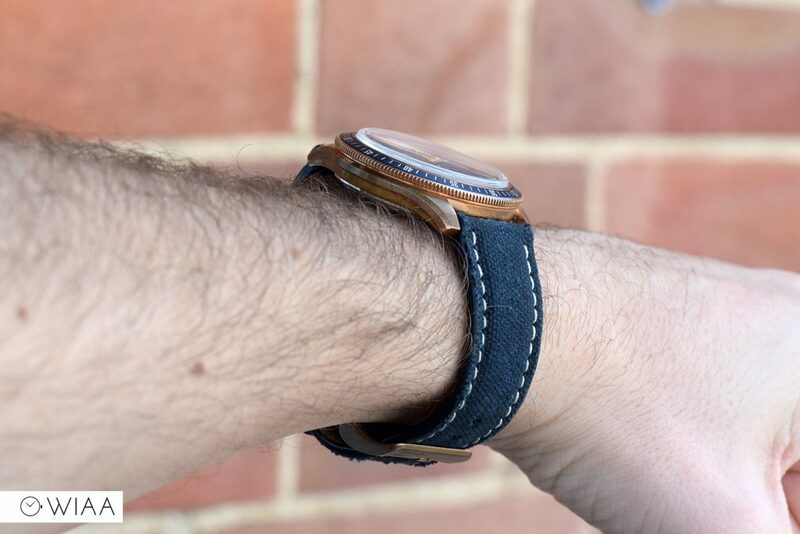 Visually, it’s very trendy with white stitching which complements the dial well. 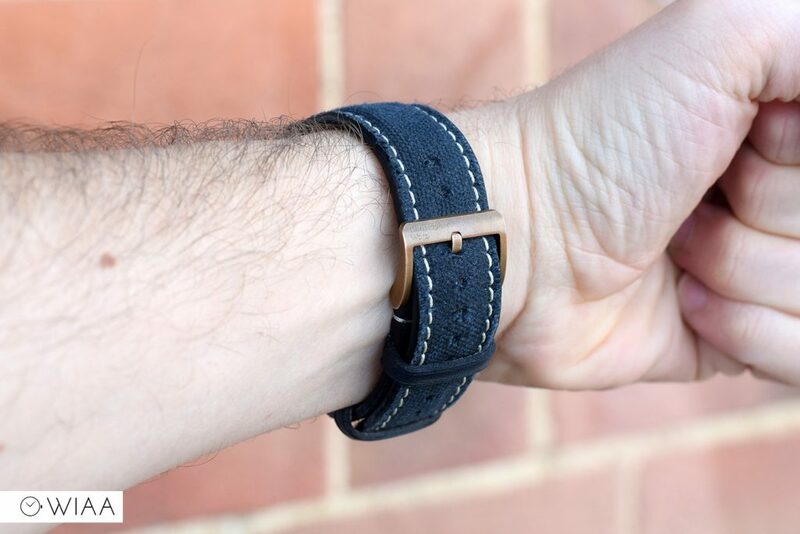 With leather backing, it’s very comfortable on the wrist and remains supple enough. 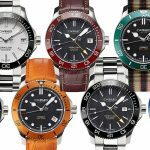 It’s loaded with quick-release pins – interestingly, whilst we see these more or less all the time now, Christopher Ward was the first brand I saw take them up on all their straps. They make swapping them a doddle, without the need for any tools. 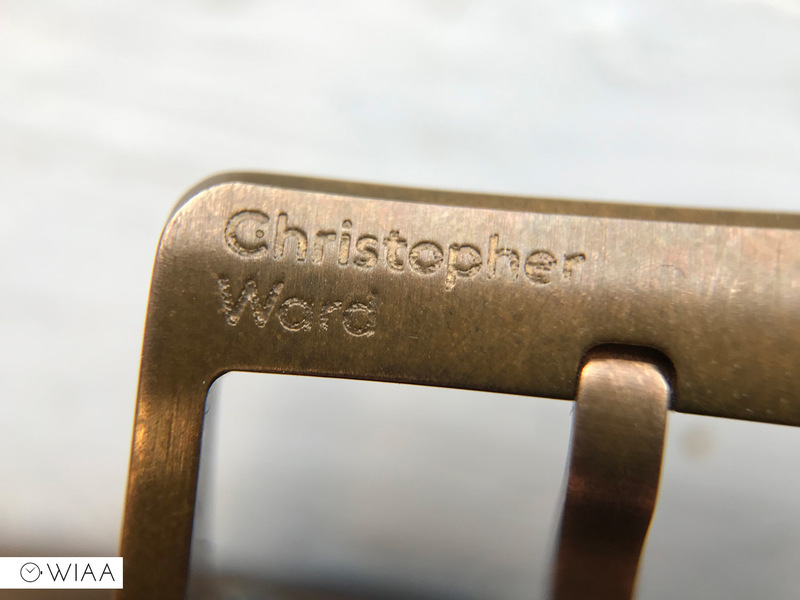 The tang buckle is also bronze to match the case, with the left-aligned Christopher Ward logo engraved into the top bar. The patina of the bronze has effected it visually it a little – it’s not quite as crisp as it would be new. Still, it looks cool. 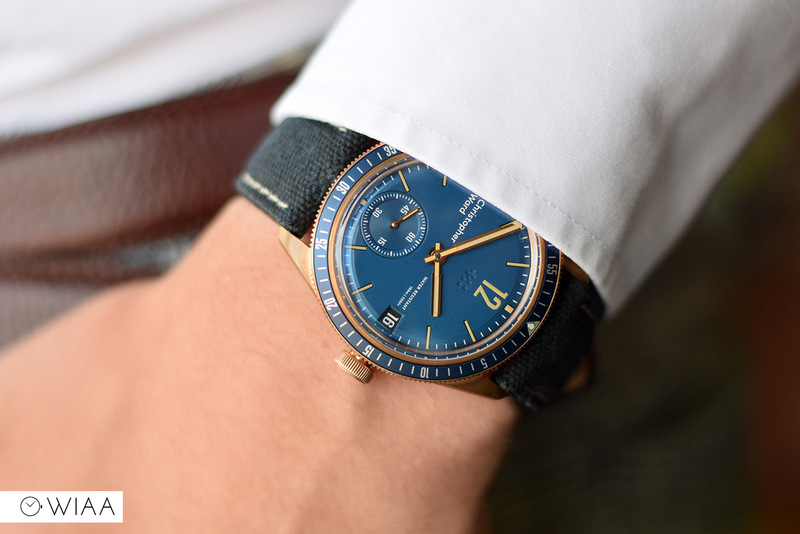 The movement is quite possibly the primary reason why the price of this limited edition is so much more than the standard: it boasts Christopher Ward’s impressive in-house SH21 movement. 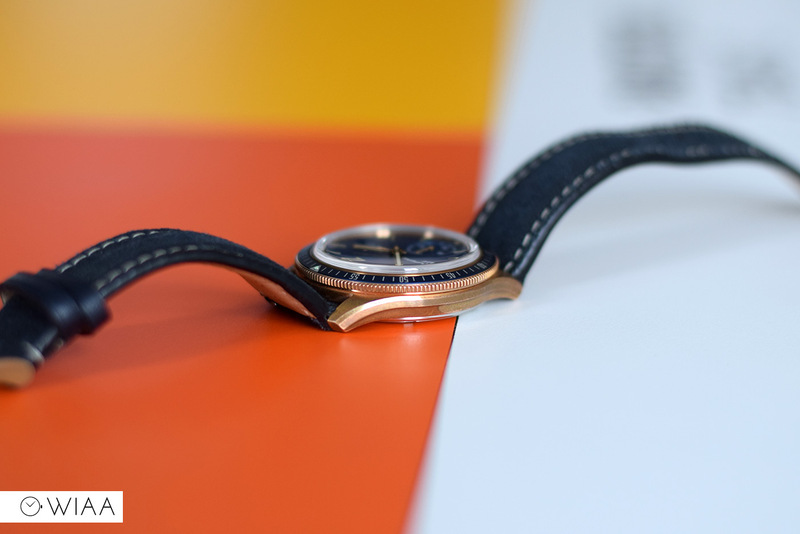 Each SH21 is COSC certified and built in Switzerland. Whilst many movements are more or less based on other movements from the past, the SH21 is completely new and remarkably thought out. It’s described as a “tractor”: everything is sturdy, reliable, and made to tick away for a long time. 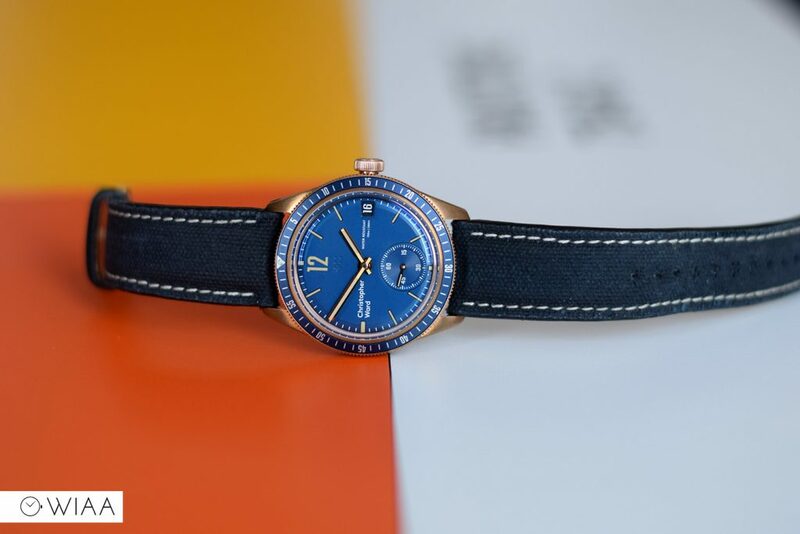 It’s also very modular so specs can be added easily: in this instance, the automatic winding mechanism has been omitted, so it’s only hand wind. 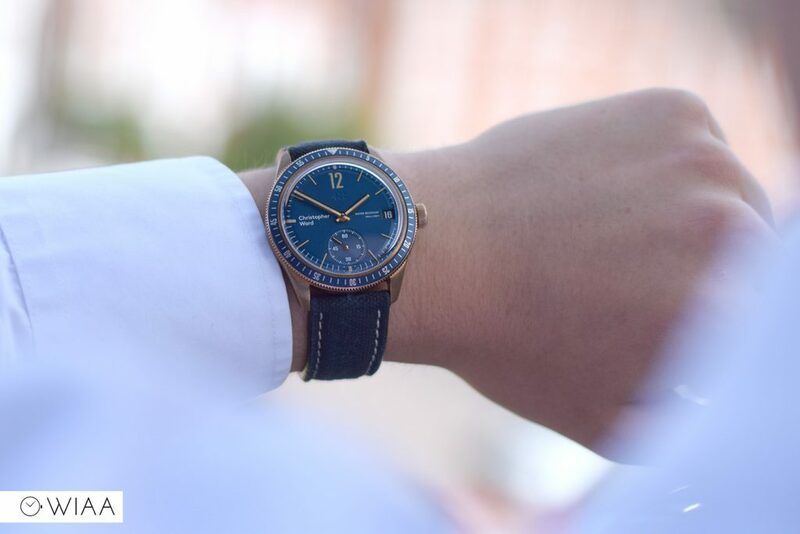 It has a whopping 5 day (120 hours) power reserve, so it’s not the end of the world if you forget to wind it after a few days. It’s a real you shame can’t see it though. The design and construction of the new C65 Trident are just beautiful, no doubt about it. 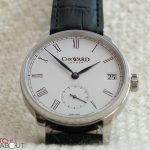 I love how it looks; the domed crystal is mouthwatering and the subtle, the gentle class of the dial design is exquisite. £1850 is most definitely a lot of money, there’s no doubt about it. 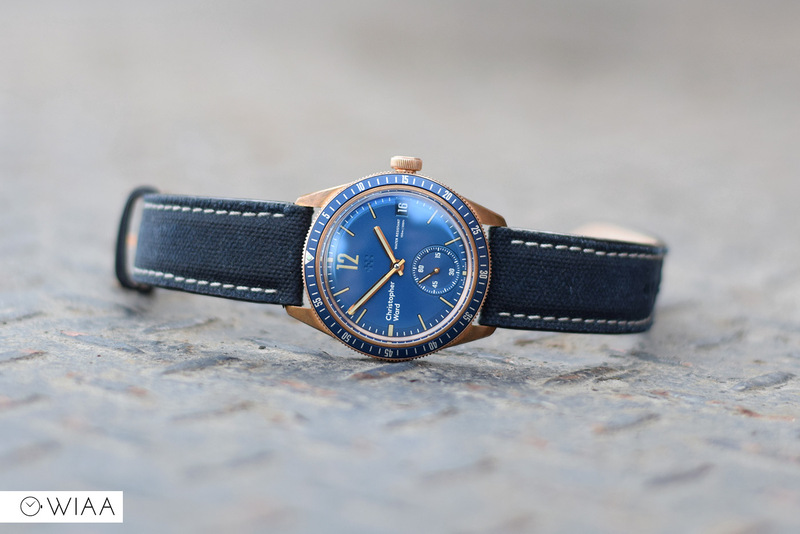 But, with all things considered, it truly is a belter of a watch: the movement is remarkable, the design is sublime, and the construction is one that easily matches the price tag. Really, the only thing is to justify the price tag to yourself. 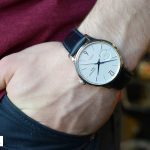 Once you can do that, you’ll be very happy with the watch. And if you can’t? 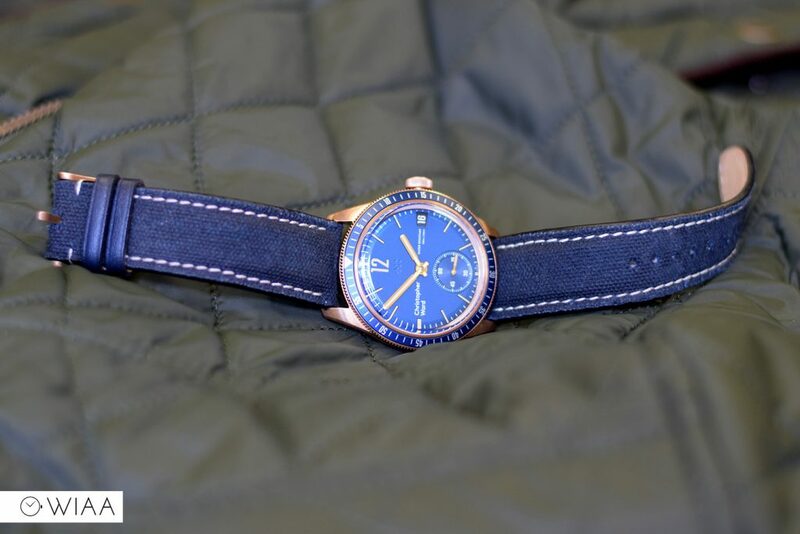 Then there are the cheaper options available (with Sellita movement and steel case) which look just as great. 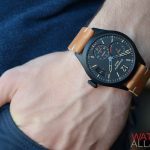 That is one beautiful watch. Everything is just right to my eyes. It’s their best effort yet and the balance is spot on. 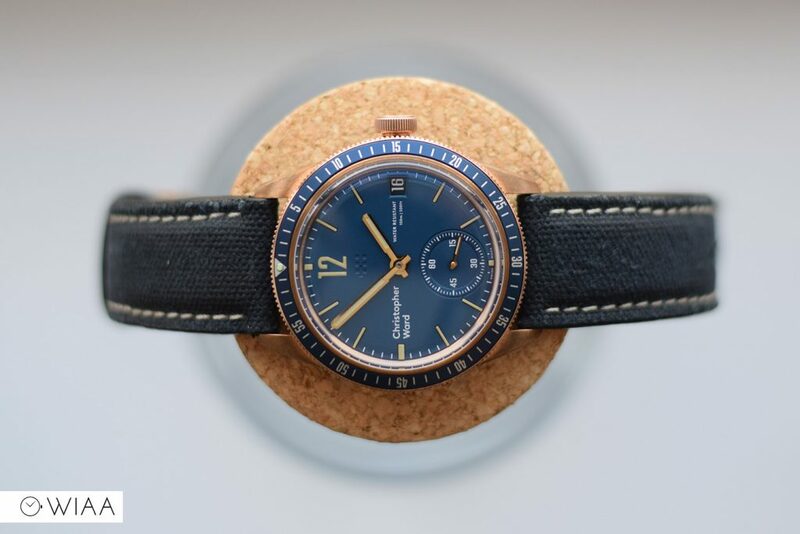 I don’t mind the Christopher Ward text at 9 on this one. 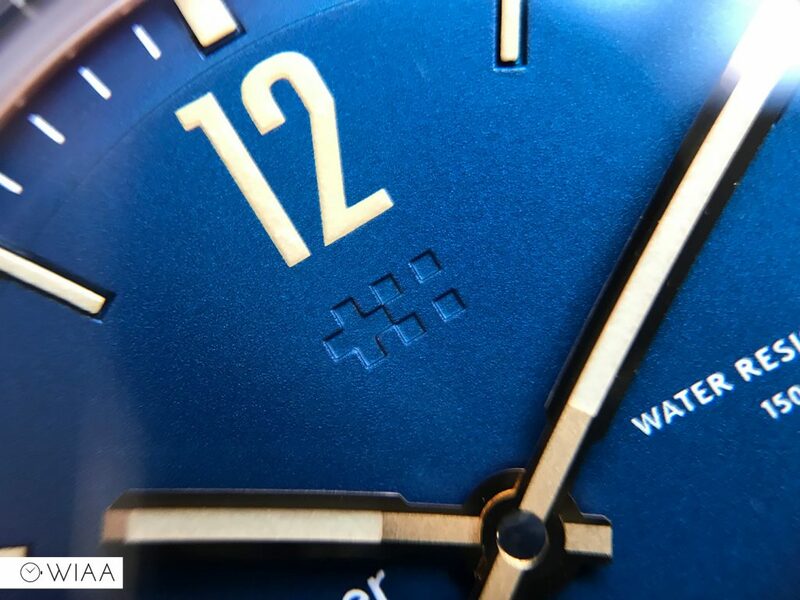 You mentioned the date wheel is blue to match the dial…it appears to be black in the photos?